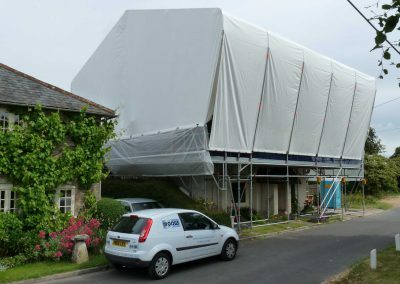 Installation time saving of 50% compared to tube and fitting and tin-sheet, the availability of natural light conditions and minimised local disruption – the benefits of a Layher Allround® scaffold and Keder roof system, during timber and roof refurbishment of a picturesque thatched cottage in Wiltshire, has gained from equipment design. 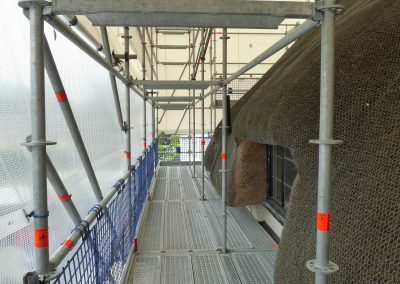 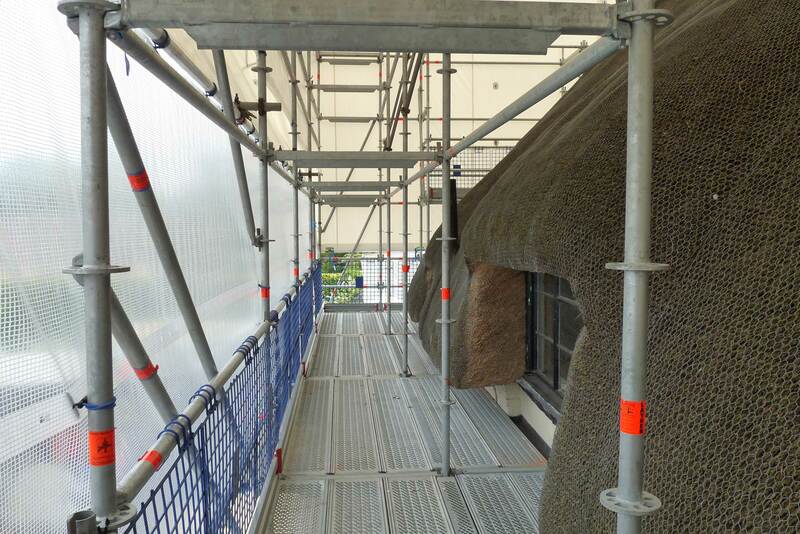 “We provided encapsulation and weather protection together with working platforms for the access required by R Moulding & Co. for the refurbishment work. 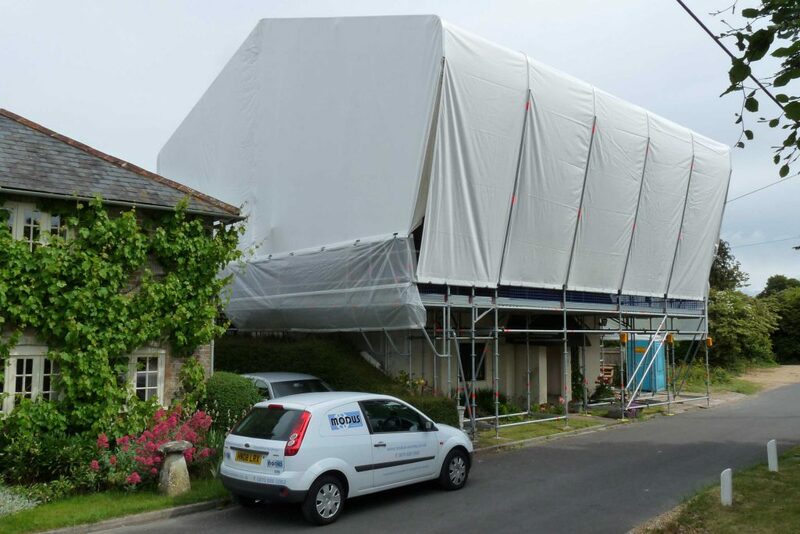 This was achieved despite limited access to the sides and the rear of the building,” says Modus Access UK’s MD, Simon Jeanes, who undertook the installation work.